You know you’ve thought about it before. You’re standing in line at Starbucks, trying to remember how to pronounce the douche word for medium. Or you’re wondering why you always have to make the coffee in the work breakroom, even though there’s 26 other employees on that floor, 92% of whom drink that coffee. You can’t really function without the caffeine. You’ve visited your great aunt in the hospital and have seen the people wheeling their IVs around. 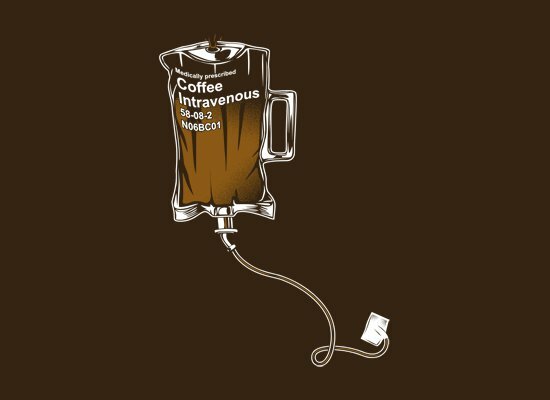 And, you’ve had the thought…can’t I just mainline a coffee IV for 18 hours a day. 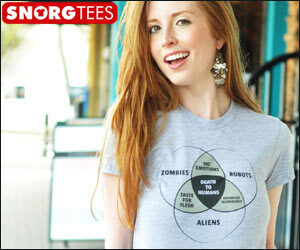 You know this is true, and the next best thing to actually doing that is to wear this shirt.